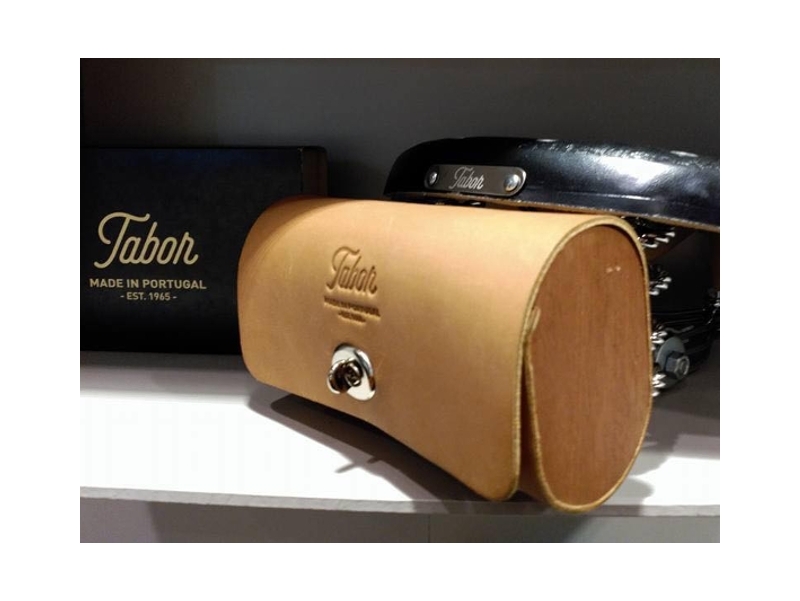 Tabor tool bag was designed to fit the rear of a looped saddle. It will fit our new models with looped backplates but for previous models it will need bag loops in order to attach the tool bag buckles. 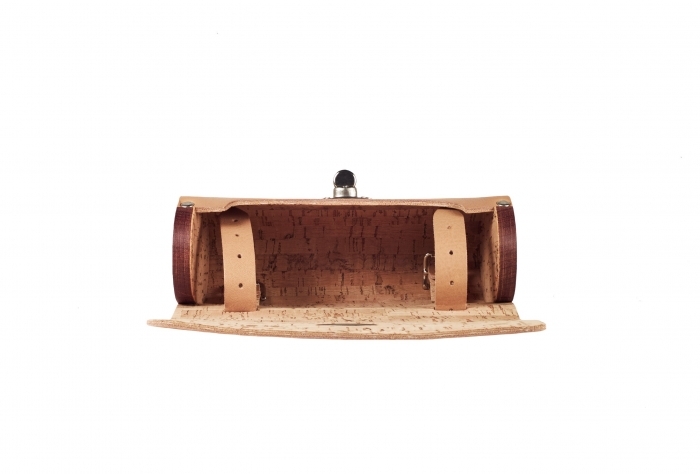 The natural tanned leather, the simplicity of the cork, combined with the mahogany wood panels gives this bag a contemporary yet fashionable look! 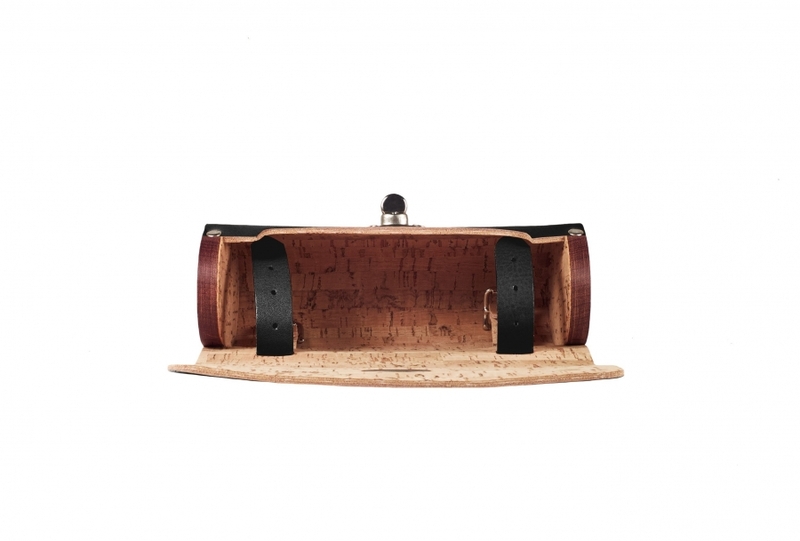 The interior of the bag, as well as the buckle straps, are layered with a cork sheet that provides extra durability to the bag as well as reduces the overall weight. 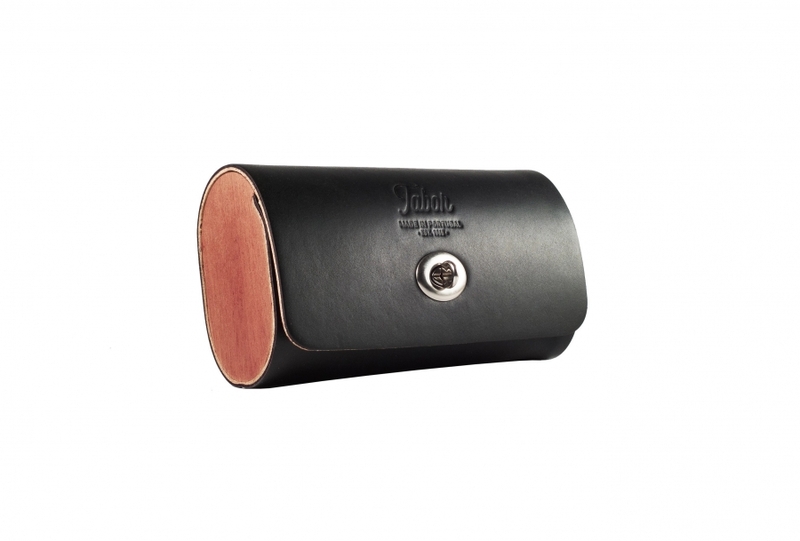 Natural colour tool bag mounted on a black 240 Tabor saddle. 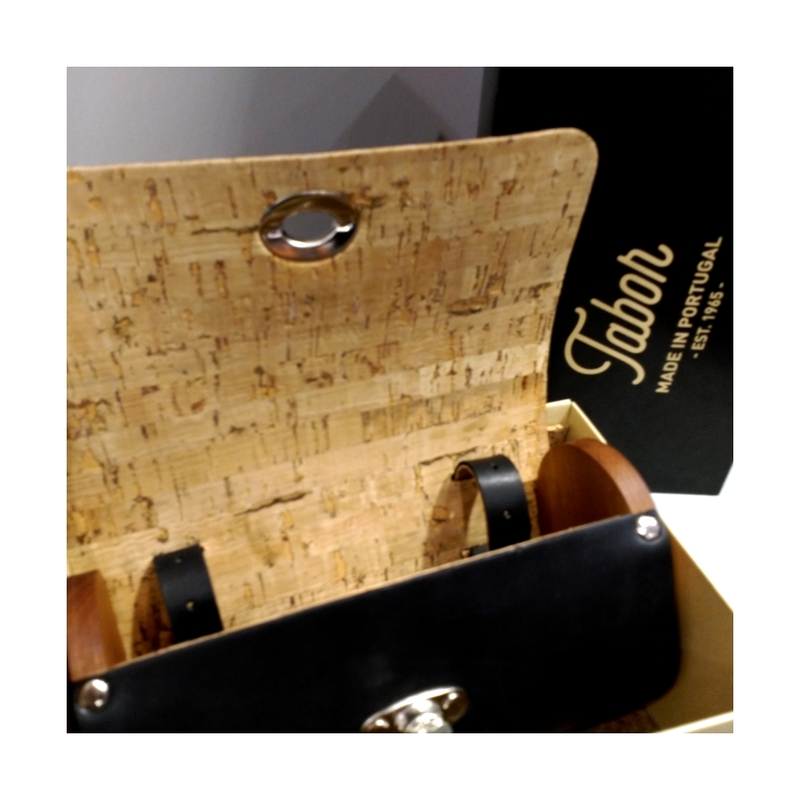 Detail of leather tool bag inner cork lining and fixation leather straps.